At the age of twenty-four, he was the leader of the Algerian people’s resistance to one of the first colonial powers in the world. He incarnated this struggle for fifteen years, before laying down his arms and being held captive, from 1848 to 1852, in a castle in the Loire Valley (France). Until Louis-Napoleon Bonaparte chooses to honour the word of France and release him. 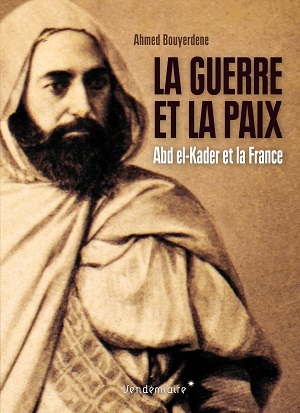 Then began the second life of Emir Abd el-Kader: that of a long spiritual adventure that would make him one of the references of Islam. Enriched by archives so far unexploited, those of the contemporaries and the entourage of the Emir, as well as the correspondence and personal notes of Abd el-Kader himself, this book traces, in a lively and detailed way, the least known period of a tumultuous existence: an eventful stay in France during which the Algerian hero become an admirer and a friend of the Emperor Napoleon III. Ahmed Bouyerdene is a researcher in history and a Phd in Mediterranean and Oriental studies.